We welcome all feedback. If you'd like to make a comment on an article or ask any questions, please e-mail feedback@soundstageultra.com. If your letter is selected for publication, your name will be printed but your e-mail address will NOT be. The Most Inspiring Audio Article Ever? I will try and keep this brief, but I just had to write my first message to a SoundStage! audio reviewer: as someone who has been at this hobby a long time (my first good stereo with LS3/5As was about 35 years ago); as someone who once had a 2500-square-foot one-bedroom condo and an active system that featured around 40 vacuum tubes; and as someone who now has small children (2, 3, and 8) at a point later in my life than most do. Yours is the most timely, most insightful, and I must say inspiring article having to do with audio I have ever read. I look forward to the privilege of reading the chronicle of your journey to your new system. Kudos, bravo, and any other words that are appropriate. "Best I've Read From a Reviewer"
That article is the best I’ve read from a reviewer [“Jeff’s Getting a New Stereo System: Part One”]. Our market and industry has indeed changed. It has entered the world of luxury products, which AVShowrooms delightfully covers. I was at this turning point some time ago and discovered the joys of vintage audio. I still own several pairs of Bozaks and many vintage amps. The total retail for a great system is less than $10,000. Dan D’Agostino heard one of these systems at my home seven years ago and offered to buy my Bozaks on the spot! I just read your recent article on SoundStage! 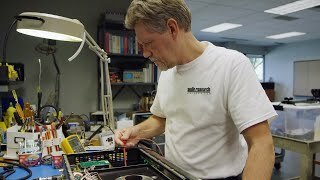 Ultra about you getting a new stereo system [“Jeff’s Getting a New Stereo System: Part One”]. Great piece of writing and so spot-on -- compliments for that one! It resonates with me. And I’m looking forward to Part Two of your new endeavor. So Hut ab Herr Fritz! Another great thought piece from you [“Jeff’s Getting a New Stereo System: Part One”]. 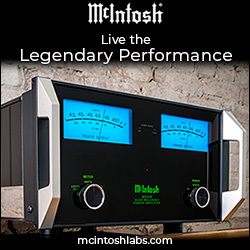 We can only imagine the wonderful times and great listening sessions you must have enjoyed through the years with the access you have had to truly high-end stereo gear. 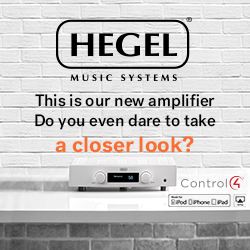 The gear you have ended up with in your listening room is truly the subject of envy (without malice) to a great section of the audio-loving public and having this era of your listening life change must be tearing at your being. But having this change can truly be a revelation for you and your readers in the fact that you are now building a system and trying to approach the level of performance you know exists. A great journey awaits you and your readers, Mr. Fritz, and the envy is still ours. I live in Australia and have just discovered SoundStage! Oz, although I’ll keep reading your pieces on Ultra. Remember it’s only about the music, so enjoy. It is always a pleasure to read your reviews and your opinion columns. I noticed recently that you have been going through what I would gently call a midlife audio crisis ["Jeff’s Getting a New Stereo System: Part One"], partly caused by your family responsibilities; there’s nothing like family to bring perspective in life! As usual, you are raising excellent questions and challenging some of the notions and prejudices that have plagued the high-end audio community for years. This is a good thing and I think that most audio writers should go through this phase because, as you pointed out, there is a lot of BS out there! 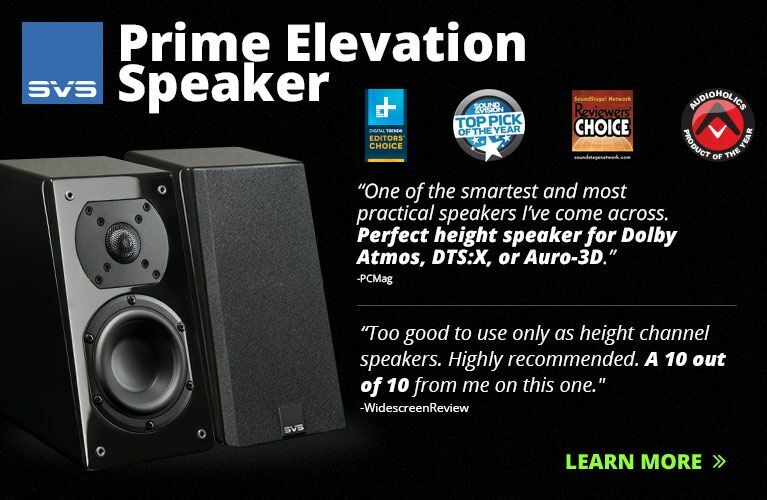 Spewed by manufacturers, distributors, retailers, and most sadly the audiophile community. I remember before buying my Simaudio Moon 600i amplifier, reading a forum where a reader found that The Abso!ute Sound’s review of the component was too effusive for an “$8000” integrated amp. Yup, $8000 is obviously chump change for some people and there is no way such a “cheap” amp can sound that good. Your editorials on prices and continuous improvements are bang-on! I understand that it may be frustrating to feel that your latest purchase may be surpassed by the latest, shiniest version a year or two after your acquisition. It’s like computers and cars: there will always be something better. But in audio, is it always something much better? I don’t think so. I had the opportunity to ask this question to two respected manufacturers (for my CD player and speakers) at shows and they were honest in confirming that the newer models that replaced my gear only brought slight improvements and that the upgrade was not worth it. In my experience, a significant jump within the same product line is likely to bring improvements (my ears can attest), but with the laws of diminishing returns in full force in high-end audio (e.g., 30% improvement for 200% increase in cost), thanks but no thanks. I also think that in many cases audiophiles confuse “sounding different” with “sounding better,” especially when you compare products from different manufacturers. This I think is due to the different technology implementation philosophies and voicing of components. 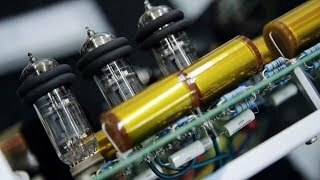 Regarding the fixation on ultra-expensive gear, a manufacturer told me more or less the same thing you mentioned: a fancy audio store in New York told that company that he had trouble selling their products because consumers found they were not expensive enough. Well, enough said indeed!! Five years ago I reached the stage where I became very satisfied with my gear and home setup. I am fortunate to have a dedicated listening room built with soundproofing, acoustic treatment, and a dedicated power line; I think this has provided the biggest sonic upgrade over the years. Yes, I could upgrade the digital front end, especially the streamer, but for my needs it serves me well. My next upgrade will be a new power conditioner and I will go for a reasonably priced ($1000-$2000) unit probably from Torus, a Canadian company that has been in business for years and that also makes components for Bryston. As a Canadian, nothing wrong in encouraging the local industry, eh!? There you go, my patriotic bit for our 150th anniversary celebrations. Sorry for the long letter, keep up the good work. Happy 4th of July!! I have thoroughly enjoyed reading your cogitations over the years. Your honesty and candor are quite refreshing. May I suggest you investigate the Manger S1 active floorstander? The Manger driver has the least distorted wavelaunch of any speaker. I have owned a pair of passive speakers (Coincident Odysseys) that use the Manger driver for many years, and their naturalness is uncanny. I want to let you know that the industry needs plain speaking, technical, and authentic reviewers like you. You are doing a fabulous job! Reviews nowadays are propaganda, great dealers are rare, and improving your own self-knowledge isn’t for the fainthearted. In fact, high-end audio in my view means “high-end struggle and toil.” Thanks for your truthfulness -- it’s priceless! We are going to witness unimaginable advances in technology in the next decade: exciting times with artificial intelligence, deep learning, and data science. It’s going to impact many things. I was disturbed recently because most of the deep-learning Stanford/MIT professors on advanced technologies are young and not one has white hair! Your article on the Vivid Audio Giya G1 Spirit stirred my interest and so I auditioned the G1 a few days ago -- you are spot on in the review! 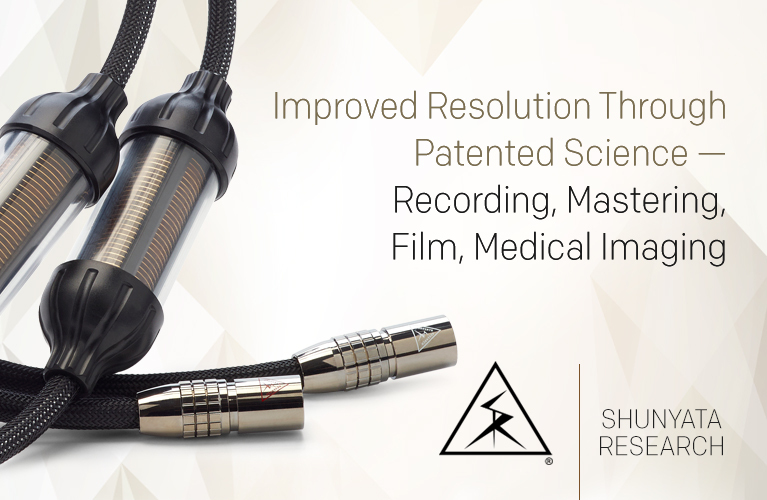 Currently, I am enjoying the Soulution 711/725, Magico S7, Double Helix and Gobel cables at the home -- peppered with my own persistent tweaking for the perfect digital source. About "The Failure to Compare"
I trust you are keeping well. 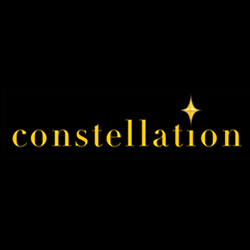 I read your comments in [“The Failure to Compare”]. Very well written to say the least. I enjoyed reading it and above all respect your candidness about reviewer objectivity. All these point to the fact that buyers must do their homework and not just rely on reviews, especially ones which don’t have any reference points and comparisons. I find you have some of the best insight and knowledge in the business and would appreciate your advice in my own pursuit of purist sound. My system is built around Magico Q3 speakers driven by Bryston’s 14B ST. The preamp is the Bryston BP25, and sources include the Weiss DAC202 using Amarra on a MacBook Pro, and a Rega Jupiter. 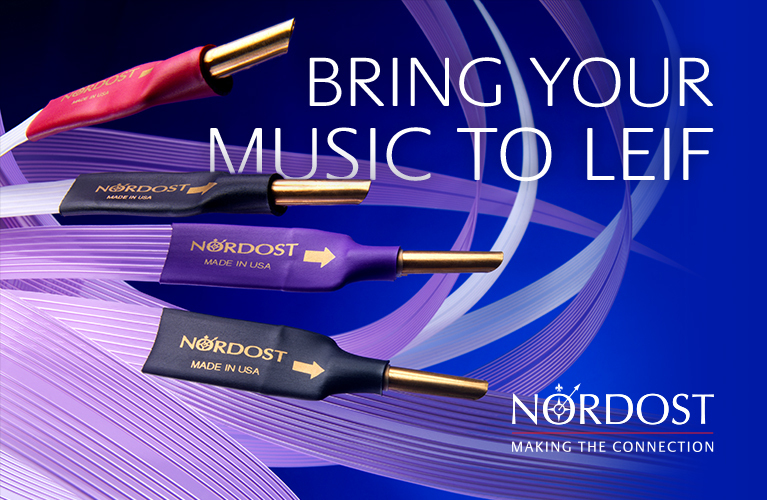 Interconnects are Shunyata Aries and Cardas Neutral Reference, and speaker cables are Nordost Heimdalls. What would you choose for the next step to provide the most improvement to my system? I am considering either an Ayre KX-R to replace the BP25 preamp or a Boulder 2060 amplifier to replace the 14B ST. I hope to eventually get both but can’t afford to do both at the same time. You’re in a place where your system is already pretty high level, and improving upon it will require some careful considerations, though I do think you are on the right track. 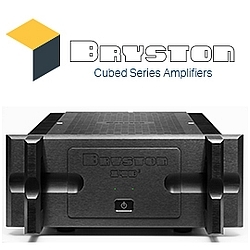 As for the amp, the Bryston you have is plenty powerful; however, I do believe the Boulder 2060 is a better amplifier. It should be for the massive difference in list price, and its 600Wpc into 8 ohms will provide plenty of thrust for the Q3s. 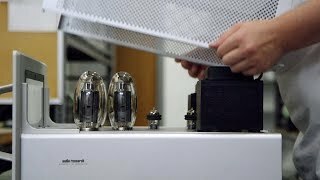 I feel the same way about the preamplifier: Your Bryston is fine as far as basic preamps go, although you should expect better from the Ayre -- the KX-R is a true cost-no-object design. I have had both the Ayre KX-R and KX-R Twenty preamps and Boulder 2060 amplifier in my system and I think very highly of those components. There is the notion of component synergy to consider, too. The Brystons no doubt work great together, but the Ayre/Boulder combo is a little less predictable. I’d be more inclined to find a used Boulder 2010 preamp to use with the 2060, for instance, to ameliorate the synergy consideration. I’ve always found that you get the most reliable results when you pick the preamp and power amp from the same manufacturer. I think your speakers and sources are good to go. 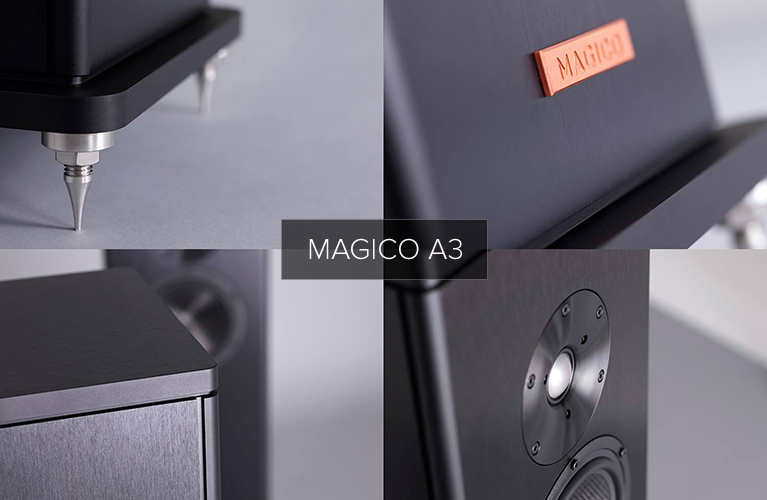 How About a Simaudio and Magico System? I’ve been an avid follower of your reviews for years. Thanks for your insights, and thoughtful and informative reviews. I’m writing to seek your opinion on a potential purchase I’m considering. I have an eye out for a Simaudio Moon 880M/850P pair matched to the new Magico M3 loudspeakers. So here is my question: Is this combo a good match if I’m looking for the most lifelike sound I can get in a relatively small 15’ x 16’ x 9’ room? 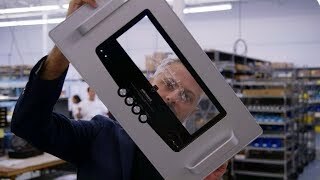 Paradigm Persona 9H an Über Speaker? Upgrade to Vivid Audio V1.5s?